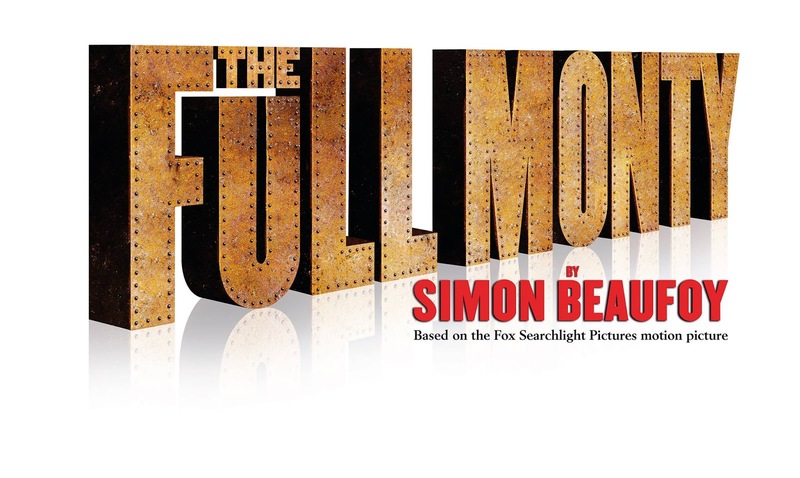 An invitation to sit in on a rehearsal of The Full Monty, Simon Beaufoy’s stage adaptation of his own phenomenally successful award-winning movie, is not something a girl gets every day. And when said invitation also includes joining the leading man, fit-as-a-butcher’s dog Gary Lucy, for a chat over lunch, it’s fair to say that this wannabe cougar was purring at full throttle. 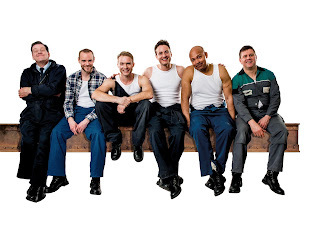 Without doubt the play is every bit as compelling as its movie counterpart, which tells of a group of Sheffield steelworkers who lose their jobs and resort to forming a Chippendale-esque group as a means of making a few quid. Having arrived at the start of the working day I quickly became so engrossed in watching the heart-breaking and hilarious antics of Gaz and the boys that I was astonished when lunchtime rolled around. I had happily whiled away the morning enjoying the play and, if truth be told, doing a fair bit of politically incorrect ogling. “You really feel for these guys. All they knew was working in the steel works and when that was taken away from them they had nothing else,” said Gary, whose impressive array of screen credits include Danny in EastEnders, DS Fletcher in The Bill, Kyle Pascoe in Footballers’ Wives and Luke Morgan in Hollyoaks, a role that won him the title of Best Newcomer at the British Soap Awards. But in recent times Gary – who was also crowned a champion in Dancing on Ice – has been committed to The Full Monty, with this tour marking his fourth outing in the play. 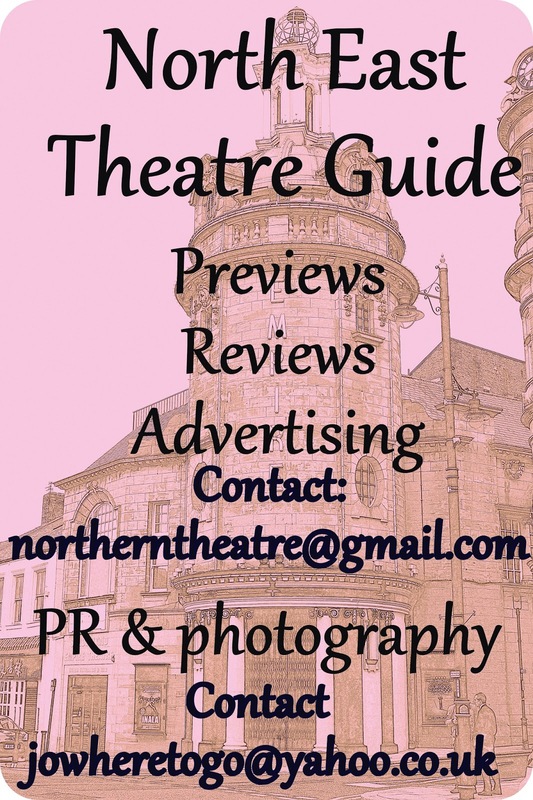 As with the film, while the core storyline is rooted in men losing their pride as a by-product of losing their jobs, the Northern humour sparkles as beautifully as Mr Lucy’s eyes. Quick to praise his fellow cast members, Gary told me that the actors coming to the show for the first time have fitted in seamlessly. 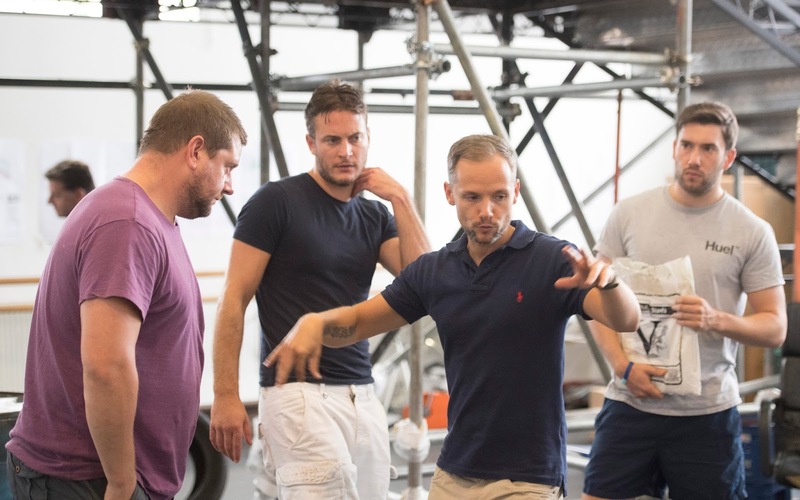 “Jack Ryder [the former EastEnders star turned director] also has got great energy and great fresh ideas,” he nodded approvingly. Observing that it’s just as well that Gary and his fellow cast members get on so well – the tour runs until April 2017 so they’ll be spending a lot of time together – Gary’s handsome face clouded for a moment. And becoming a dad has, Garyreckons, helped him with the role of Gaz. On the subject of appearing in his birthday suit, Gary laughed. And without giving too much away, Garyrevealed that there are times when the lights – a major part of the final dance – can cause the boys to be exposed for a little longer than is altogether comfortable. 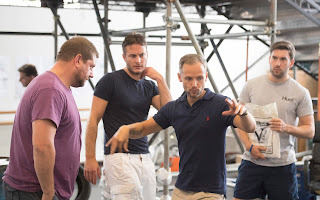 Having toured already with the show, many of the theatres on the schedule are return matches that Gary and the team are looking forward to enormously. As he finished his lunch Garyconfided that although The Full Monty is his stage debut, he can’t imagine ever being in another show that gives him such an adrenaline rush. Jack Ryder has phenomenal attention to detail. Lucky enough to inveigle my way into his rehearsal room to watch him work with the cast of the brand new tour of The Full Monty, I marvel at how he picks up on the smallest nuances. But each time he stops to ask an actor to try something differently the subsequent re-run is immediately enriched; the dialogue more sparkling and the character more credible. “Even when I watched movies as a kid I always noticed the scene itself rather than the actors. As a director I do go very much into the detail of things because then something magical starts to take place,” he explains. Running my eye over his CV, it confirms what I have witnessed during the morning’s rehearsal: Jack has come a long way since getting bumped off as Jamie Mitchell in EastEnders in 2002. 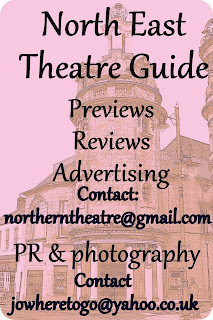 Initially hired to act in the smash-hit stage production of Calendar Girls, Jack became increasingly fascinated with directing. Spotting both his talent and his interest, the producers promptly hired him as Assistant Director on the subsequent tour. So where does his talent stem from – is he from theatrical stock? “No, not at all,” he laughs. 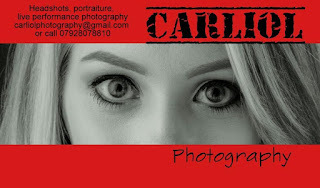 “I was very late coming to theatre – being a 90s kid I grew up watching movies on cable telly. My dad occasionally took me to the opera, but I found it quite boring and so I’d sit and play with my toy cars instead,” he confesses. Wanting a break from the limelight after EastEnders, Jack spent the next four years acting in theatre productions. “I never trained as an actor so everything I know I have learned hands-on. EastEnders came about by accident when I was sixteen. I went to a workshop with a mate who wanted to audition and I got spotted. I’d never even done a school play before then,” he grins. In which case, Jack’s school definitely missed a trick when this little cracker was on their roll, because, as well as directing Act of Memory, a short film that attracted huge interest and that was selected for a host of international festivals, including the famous Cannes Film Festival, as an actor he has done everything from Shakespeare to farce. On television he’s popped up in shows like Holby City, Popcorn and In the Club, while on the radio he has even done a stint on The Archers. 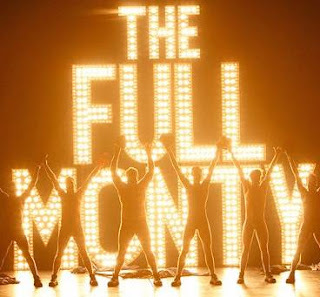 But while Jack’s school drama teacher kicks him/herself, their former pupil is focussed absolutely on The Full Monty, the movie version of which became an instant hit in 1997. 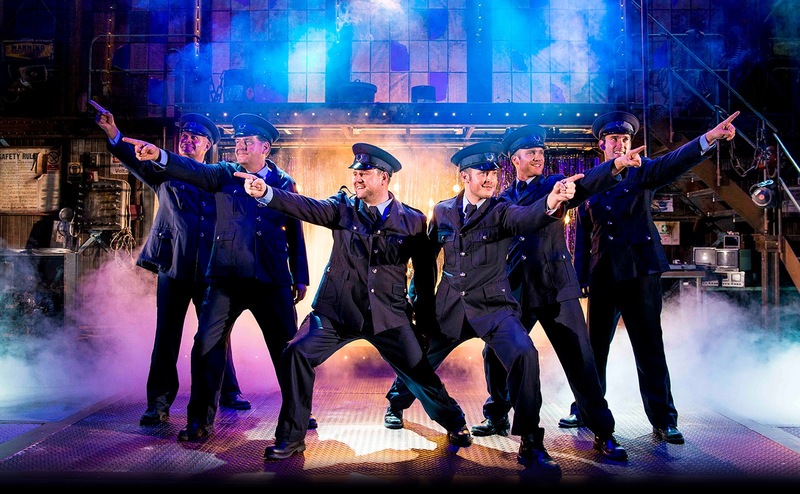 So what makes this tale of Sheffield steel workers who form a strip troupe such an enduring story? “It’s the writing,” he says, without hesitation. “Simon Beaufoy [who also wrote the award-winning film] really gets that balance between comedy and heartfelt truth. You have drama and big moments and then on the next page you find hilarious comedy. He is so clever at that light and shade, and also at writing in a way that means that actors and directors connect so readily with the material that it makes the process of getting it on its feet so easy – it’s all just there. And he won’t stand for any of the lads overplaying that final scene, no matter how vocal the audience is. “My hand is extremely tight on the reigns when it comes to the cast staying in character and forgetting the audience completely,” he says, a note of sternness creeping into his voice. Joking that, having directed Calendar Girls and now The Full Monty, I can see a theme developing, and asking if he is known as the go-to director for any show that involves actors getting their kit off, in response Jack throws back his handsome head and laughs. His pride is more than justified. Moving me to tears one moment and then to helpless laughter the next, this is a show that absolutely deserves its ‘not-to-be-missed’ reviews. Needing to return to rehearsals to work on the scene in which the boys remove their ‘undercrackers’ for the first time, before he goes I ask Jack what he does for fun and relaxation. “I don’t get much down time, but when I do I spend it with my family and developing little projects. I’ve just written a novel,” he shrugs, suddenly shy, before saying goodbye and thanking me for my time. Unpretentious, supremely talented and a genuinely lovely guy, I assure you, Mr Ryder, the pleasure really is all mine.